When you are looking for a way to view WhatsApp on your computer, WhatsApp Viewer application comes in handy. This online WhatsApp Viewer app supports viewing Android WhatsApp chats on your computer. It displays chats from Android msgstore.db. It supports crypt5, crypt7, crypt8, and cryot12. This way you can have a backup of WhatsApp on your PC and search messages as well. There is no need to install the crypt library. You can easily read old conversations with it. This WhatsApp viewer for Android works online. 3. Select msgstore.db in the folder "extracted"
5. Click on a chat to show the messages. Being an online program you don't need to install it. It doesn't support iOS devices. It is complicated to work with. There are limited and rare updates. Key file of backup is NECESSARY! You cannot see bigger images because only thumbnails are stored in the database. If you want to use a desktop based WhatsApp Viewer downloaded and installed on your PC so that you can easily see your iPhone's WhatsApp messages even when there is no internet connectivity. Tenorshare iCareFone is such a tool to view your WhatsApp chats easily, it can also back up your iPhone data including contacts, WhatsApp and other app. Apart from backing up and restoring iOS device data, it also enables data transfer between computer and iPhone. Acting as a perfect iTunes alternative to transfer and manage iTunes media files. Being a prompt file manager application, it manages your photos, videos and syncs your iPhone and keeps everything updated. Apart from that, you can fix various iOS issues using its 6 different tools and enhance device performance. With Tenorshare iCareFone, you can seamlessly backup, merge, add, transfer and restore data for your iPhone. Data transfer between computer and iOS device can be done without any hassle. There is no restrictions on that part at all. You can read the transferred or backed up data with this software as it is among the trusted WhatsApp/app data viewer for PC. Previewing of data before restoration is possible with iCareFone, and you can select individual files from a certain file type to carry out the process. You can use the same Apple ID without restriction and skip the Wi-Fi to manage data. It not only fixes iOS issues, but also prevents overwriting of data. Let's see the Tenorshare iCareFone WhatsApp Viewer app's backup and restore guide. 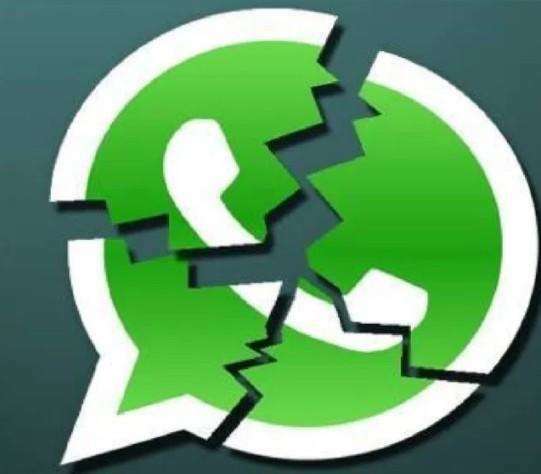 The first section of the guide describes about how to backup WhatsApp data, whereas the second section is about restoring the backed up data. Step 1 Install the Tenorshare iCareFone on your computer and then run it. Once the software interface is open, connect the iPhone using a lightning cable. Trust the computer on your iPhone and then tap on the 'Backup & Restore' tab over the program interface. Step 2 In this step, you can either select everything by marking 'Select All' checkbox or selectively pick anything. Here we selectively choose 'WhatsApp & Attachment'. Note or define the destination location under 'Backup Path' and then click 'Backup' button. Step 3 Within a while the WhatsApp data gets backed up and you can see the 'Backup Completed' message display on top of the screen. You can tap the 'View Backup List' or 'View Backup Data' if you desire. Step 1 Take another iPhone that you want to restore the backed up data into and then connect it to the same computer using a USB cable. Run iCareFone software on the system prior to connecting your new iPhone and then tap 'Backup & Restore' tab. Click "To view or restore previous backup files" at left bottom of the panel. Step 2 On the bottom of the screen, you need to hit the 'To view or restore previous backup files' right after that. Step 3 Now, pick the backup file that you have created in the previous step. Tap on 'View' and then click on 'WhatsApp' and 'WhatsApp Attachments' from the left panel under 'App Data'. Hit on 'Export to Computer' option to export it directly to your computer for further use. You can also directly restore it to other iOS device by tapping 'Restore to Device'. If you want to get rid of a WhatsApp Viewer app online, Tenorshare iCareFone is your only savior. You can easily backup and restore your iPhone data as well as manage it by transferring, adding, merging etc. between a computer and iPhone. If conventional methods give up supporting your data transfer, backup and restore options, you can undoubtedly rely on iCareFone to fix it. There's nothing about your iOS data that iCareFone won't support you with.